The second generation Mahindra Pik Up, based on the Scorpio, has had a host of updates which brings it into the 21st century, putting it on top of the budget double-cab-bakkie pile. It is a simple and robust take on the workhorse concept, which is refreshing in a world where fancy car-like features and showy finishes sell a vehicle. 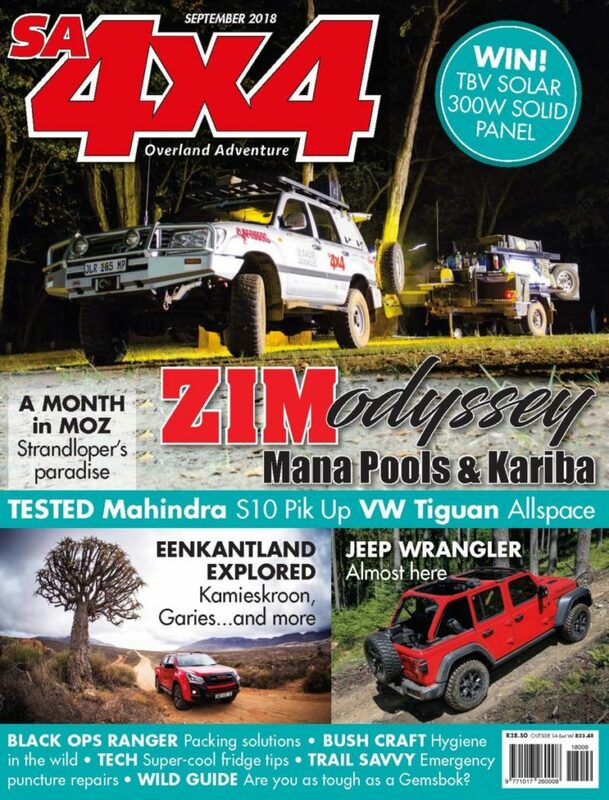 This one feels more old-school, rather like an early FJ Series Land Cruiser, and is all the better for it. 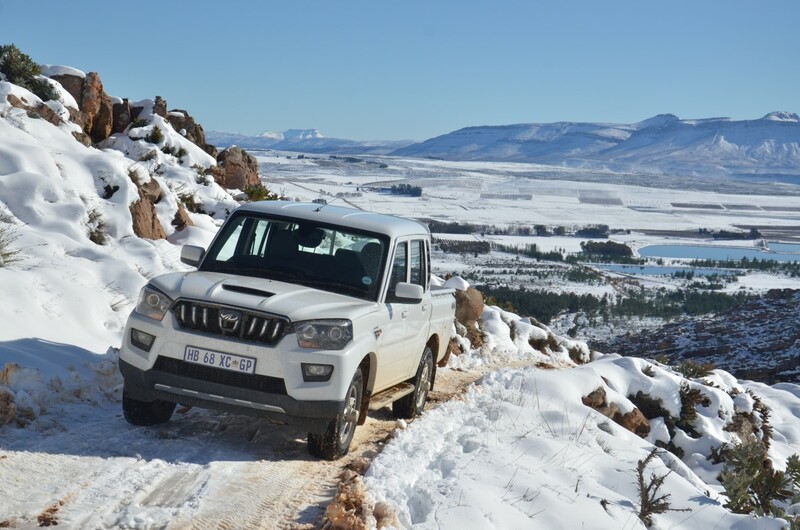 We drove India’s best for about 1000km, including a trip to a very snowy Matroosberg, to see what it’s made of. For the first time in years, I came away extremely impressed: this is a well-priced offering from a left-field brand, and I only wanted to drive it more. Mahindra has come a long way since the introduction of the Thar or baseline Bolero range. In fact, apart from the badge, due to the sophistication of the S10’s cabin you’d never be able to tell that they came from the same manufacturer. 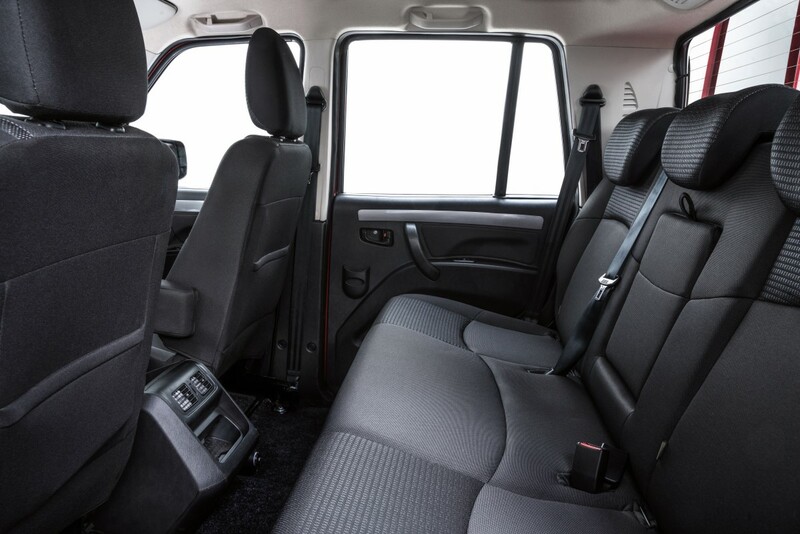 This is the top-spec model, and creature comforts on top of things like cruise control include GPS navigation, as well as Bluetooth and a touch screen, automatic electric windows all round, and comfortable front seats. The rear bench is a bit hard and cramped, and it does not fold down to make more space available. The general quality of the plastic is notably out of date compared to contemporary rivals, yet the aesthetics are pleasing and it still feels well put together and robust. The driver’s seat is height-adjustable, and neat touches like climate control and automatic headlights and wipers are worthwhile additions that come only as options on many more-expensive vehicles. The only gripe I had was with the plastic steering wheel. It reminded me of an old Defender’s helm, and made my hands sweat. 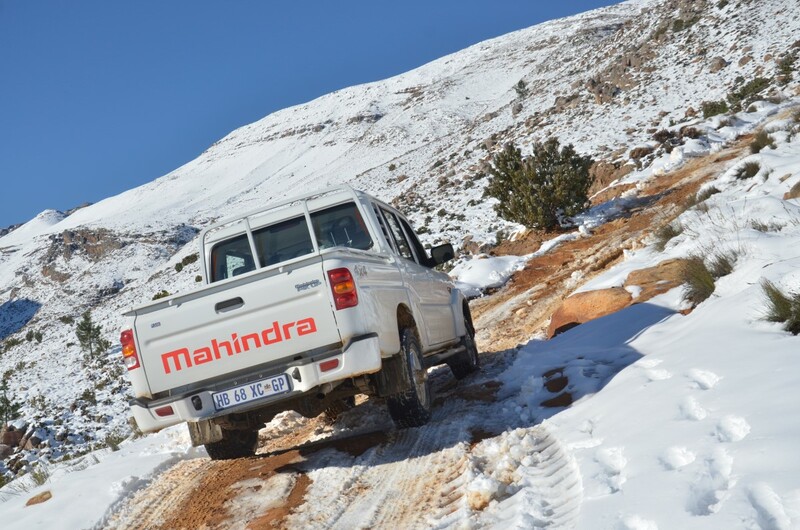 4×4 bakkie owners are by far the most brand-loyal group of motoring enthusiasts out there, and they had plenty to say about the Mahindra − ranging from laughing at the badge, to sniggering when they asked what I was driving. Despite this, and after a bit more discussion, most people agreed that the S10 has evolved into a handsome brute, if in an unconventional way. Apart from the practical things like solid, thick sheet metal suited to its working remit, strong door handles, and a robust set of sidesteps, it has a few design quirks to add to the curves that set it apart from the squared-off Bolero. For example, LED daytime running lights above the headlamps illuminate like glowing eyelashes when the vehicle is unlocked, and stay on as long as the headlights are off. The small spots under the headlights light up the side you’re turning to when navigating tight spaces at night, which may look a bit strange from outside. Overall, however, I think the S10 is styled well − at least at the front, where the flared plastic body kit isn’t so obvious. On a minor design point, a small patch of exposed sheet metal in front of the rear wheels is also cause for concern, as any stones lifted by the rear wheels are thrown at the paint surface. We added some clear 3M plastic to prevent this; owners should consider some bakkie lining material or similar protector. 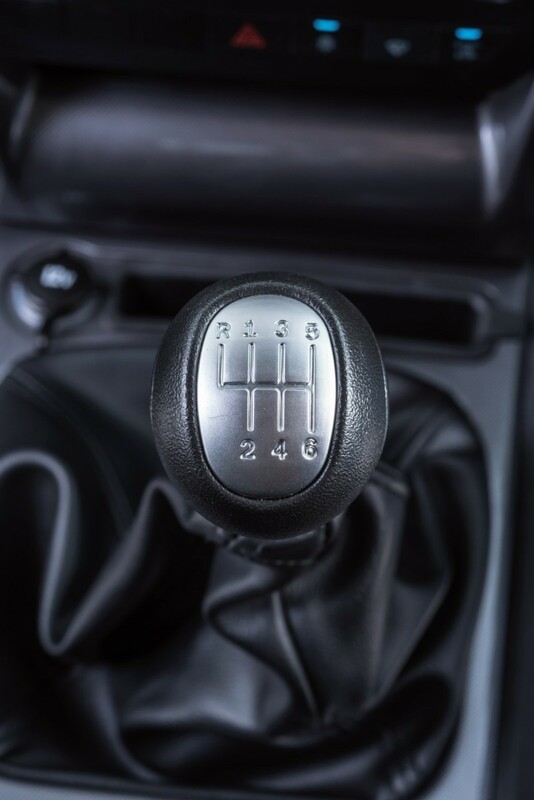 A refreshing change from all the automatics we’re treated to nowadays, the S10 features one of the slickest six-speed manuals in the business, with a light clutch and one-finger throw. On the open road, NVH levels are also surprisingly low, although the suspension is set up for work, not comfort, and the rear end hops around a bit on bumps. Those hard springs really need to be kept in check with a load. A light rear end also has the unfortunate effect of nervous oversteer on wet roads, resulting in impromptu drifts when accelerating in third gear, and easy wheel-spin in lower gears. A lack of traction or stability control highlights this tendency, and makes a case for cautious driving on all but the grippiest surfaces. To remedy the hard ride and loose nature of the rear end, I dropped the rear tyre pressure (on the admittedly very hard truck-spec tyres) to 1.6 bar for normal road driving, and noticed a huge improvement. In keeping with the times, stop/start tech has been added; but it seems the system is connected directly to the standard starter motor, and is not a high-tech, high-voltage system like other modern vehicles. The result is a dead engine that takes a second to re-start at the worst times. I’d just switch it off, but the system defaults to the ‘on’ position every time the vehicle is turned off, as does the aircon. 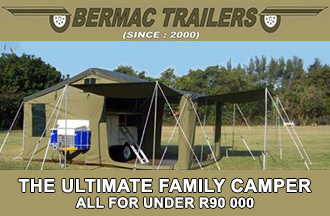 When it comes to the rough stuff, bakkies are largely on par due to their similar architecture. However, the Mahindra’s stiff rear leaf spring pack (it achieved a low Ramp Travel Index of just 266), and complete lack of electronic traction aids and other complications, does mean that it falls short on a few aspects. On the plus side, it has an easy-to-use dial to engage low-range, which is low enough for most crawling conditions. However, the stock Elanzo brand tyres that are fitted not only struggle on tarmac, but offer next to no grip on mud, though this can be forgiven due to their road-biased nature. These can, of course, be swapped for grippier items, which will benefit ride and handling aspects, too. 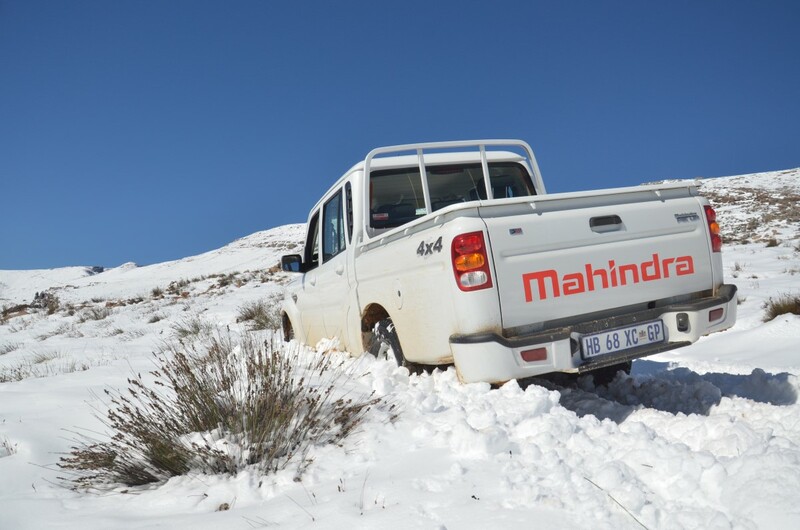 Something that is more worrying about the Mahindra S10 is the lack of recovery points both front and rear, and when I inevitably got it stuck up to the axles in snow, a front chassis member was the only towing option – with the same story at the rear. Speaking of the rear, the 15 degree departure angle is atrocious when compared to a Hilux, or similar contemporary bakkies, which offer around 22 degrees. 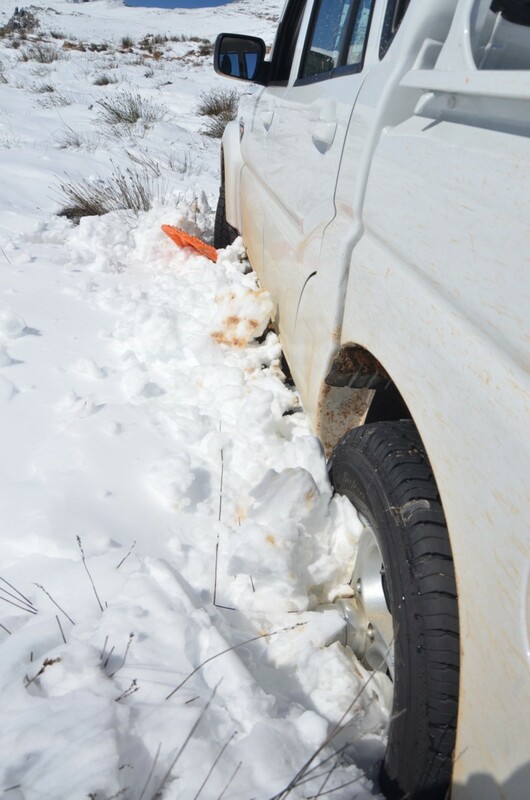 Bear in mind that our test vehicle did not have a tow bar. The complaints don’t end there, as the mechanically-locking Eaton rear differential had a mind of its own, locking up only if a quick jolt on the clutch was applied. It is meant to work automatically in the background in low-traction situations, actuating when a 100rpm difference in speed is detected between wheels on the rear axle. 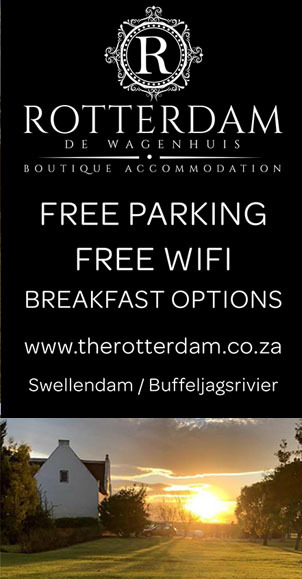 (See sidebar). Unfortunately, a similar jolt occurred in an underground parking-lot from the little speed bumps they install, resulting in a very awkward three-point turn inside the underground to try and unlock the diff. I may sound harsh, but these basic deficiencies make a big difference on the side of a snowy mountain, surrounded by Jeeps and Land Rovers. Luckily, the Mahindra’s saving grace is its engine. Whether on road or off, the engine is an absolute peach: quiet, smooth and happy to have the nuts revved off it on a long climb. 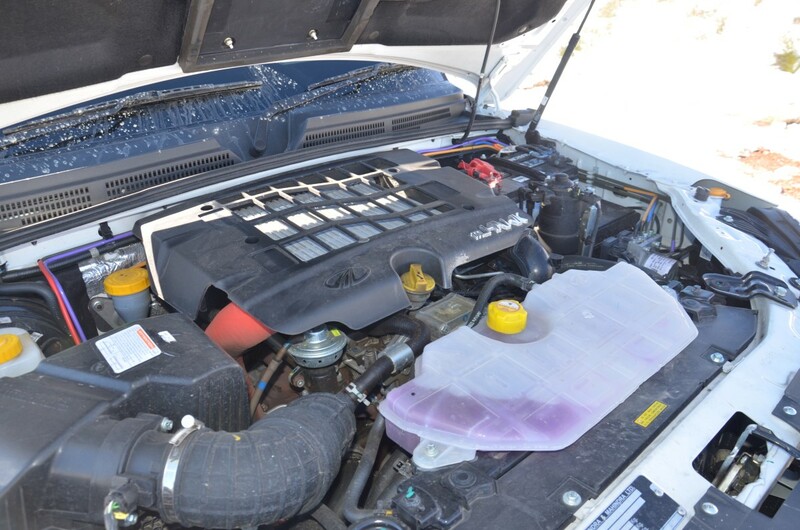 As with most small-capacity turbodiesels, torque is lacking low down in the rev range; but, despite what figures suggest, it’s far superior to the peaky and gutless 2.2 in the Ranger, and closer to the smooth Hilux 2.4 or Isuzu 2.5’s winning combination of tractable power and torque. The Mahindra is fitted with an Eaton mechanical locking differential, which works without driver inputs. When a wheel-speed difference greater than 100rpm is detected in low-traction situations such as wet roads or mud, it locks within a fraction of a second, using what Eaton calls a flyweight mechanism and self-energising clutch. 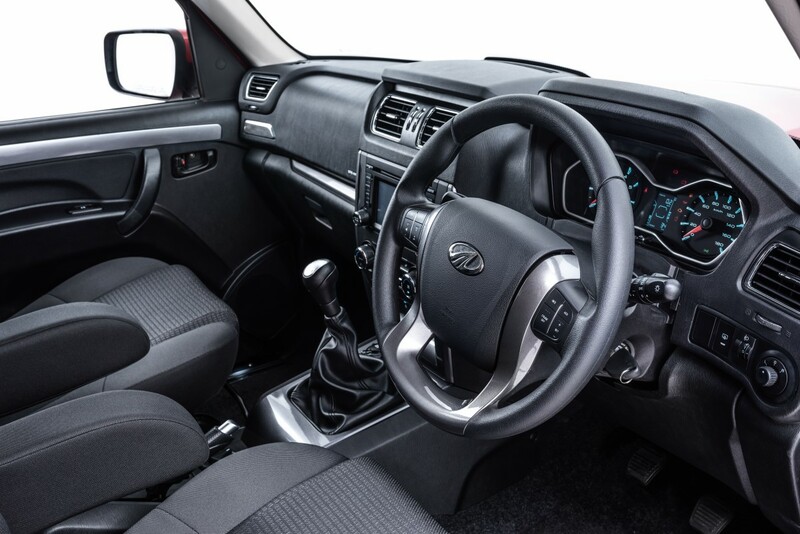 This is a commercial bakkie, and despite the fact it is specced with a range of driver comfort features, it is well suited to a life of rough work at the hands of a variety of drivers of varied skill levels. In this regard, the lack of electronic aids and a simple mechanical diff lock are plus points. It feels solidly built, and the second-generation model has made big strides in exterior appeal and interior finish and ergonomics. All told, despite some minor shortfalls, the Mahindra Pik Up impressed me so much with its brilliant drivetrain and simple nature that I was sorry when it was collected. 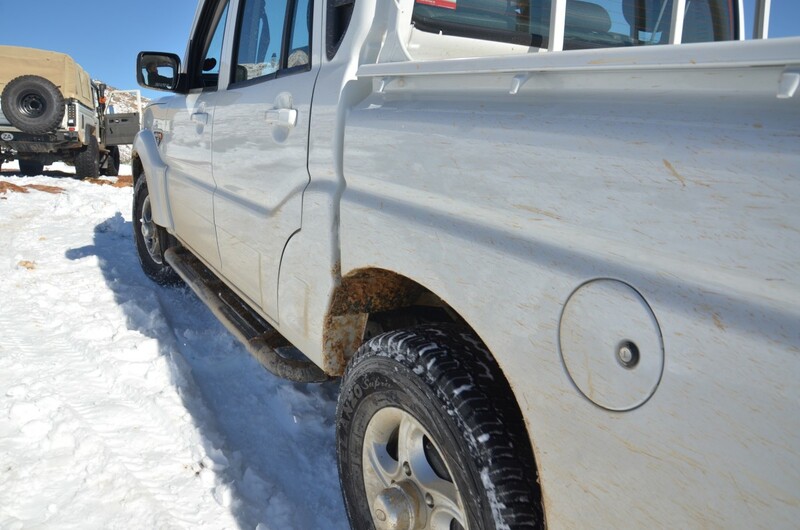 Though no true off-roader, the S10 is a bargain at the price, offering practicality, economy, loadability, and enough comfort and off-road prowess for any tour or road-trip that I can think of. Even the warranty is good. 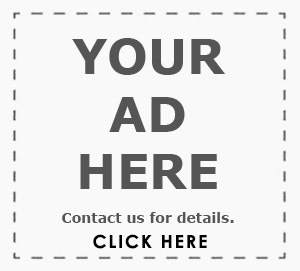 For a full spec sheet, grab a copy of our September issue!